For a long sightseeing day in Montmartre you really need a good base. There is a very cute place close to Sacre-Coeur, off the main tourist area, where you can get this base – Soul Kitchen. 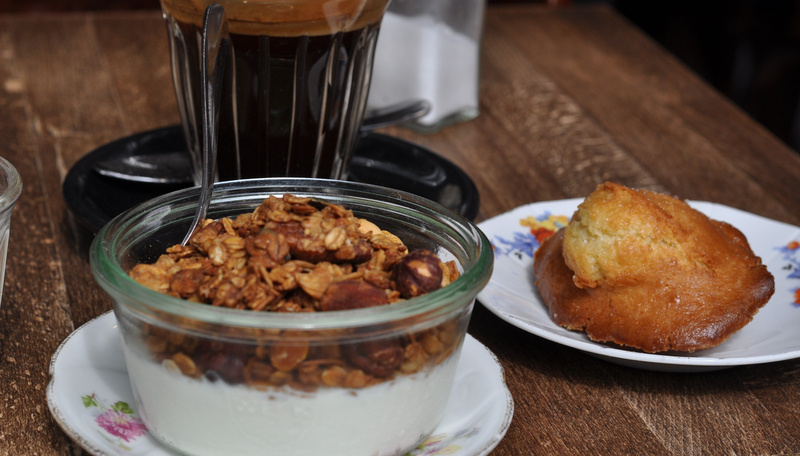 This tiny café provides you with everything you need in the morning – good coffee, a nice selection of French specialities and granola – everything bio! Soul Kitchen has a very cosy atmosphere, being there feels a like home. They also offer free WIFI – so as „home is where your WIFI connects automatically“, you can easily visit Soul Kitchen several times during your stay in Paris. They also provide quite some nice dishes for lunch or dinner, like Quinoa salad and other vegetarian options.